A native of Atlanta, Frederick L. was born May 25, 1952. After graduating from David T. Howard High School, Fred served in the Marines at Paris Island, South Carolina for 2 years. After his discharge, Fred returned to Atlanta. He found employment at Atlanta Stove Works and subsequently Warren Refrigeration where he worked on the assembly line manufacturing Refrigerators and Stoves. After doing this for 15 years, Frederick changed careers and went to work at Emory Hospital in Housekeeping for 5 years. One of the duties that he enjoyed the most was cleaning and sterilizing equipment in the operating rooms. After leaving Emory, Fred worked for a paving contractor, then Dekalb County Water where he installed water meters and worked on various construction projects over the course of the 11 years. He also worked as an appliance repairman part time. Unfortunately, Fred suffered a heart attack in 2014. Diagnosed with Congestive Heart Failure and Diabetes, Fred could no longer work on a consistent basis and as his financial situation grew worse, found himself homeless. He lived with his cousin periodically but spent many nights on the street and, due to his poor health, in the Grady Memorial Hospital Emergency Room. It was at this time that he was connected to Homes of Light and their partnership with United way of Metro Atlanta. 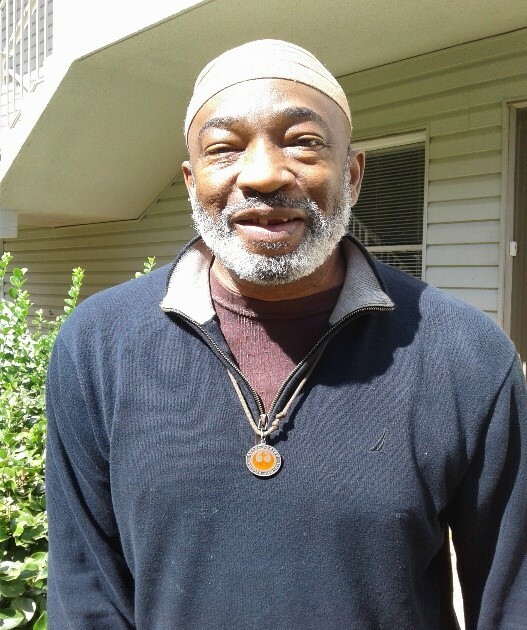 The Hospital to Home program that they both established allowed Leonard to receive supportive housing and case Management and through this, he improved his health, secured a monthly income and is now sharing in the lease of a house. Fred is active in the First Presbyterian Church and as his health permits enjoys jazz, ‘tinkering’ with anything mechanical and building hot rods. Although not as active as he once was, Fred’s positive attitude is an inspiration to anyone that meets him.